WINDOW “FIRE” WARNING: Low E Energy Windows a “HIDDEN” WORLDWIDE FIRE PLAN . . .
RALEIGH, N.C. — THEY’RE REFLECTIONS FROM A WINDOW STRONG ENOUGH TO MELT SIDING ON HOMES AND EVEN START FIRES. IT’S AN ISSUE WITH ENERGY EFFICIENT WINDOWS THAT 5 ON YOUR SIDE HAS INVESTIGATED FOR YEARS. NOW, A FORENSIC SCIENTIST HAS REACHED OUT TO MONICA LALIBERTE WITH CONCERNS. What Do You Think These UFO’s Are? Some of the photos look like an electronically “cloaked” helicopter, others a UFO. Alien anti-gravity craft or US Secret Space War craft are both anti-gravity craft and have electronic capability and “biomorphic” image shape-shifting ability (as a created illusion for observers). Conclusion is high tech – Task Force 160 “Night Stalkers” which uses high tech helicopters that are equipped with special infrared and special radar guidance systems and can fly at night and through smoke. They could have been there lighting the fires or just for observation. If they were there they would have to have been involved to make sure they didn’t get hit by the orbital to ground high powered lasers and/or particle beams. The bigger helicopter is at 13:06 and a smaller drone or something at 13:05 left side screen 3/4 up. It’s quick. And then one at 5:00 minutes in difficult to catch. We need more eyes on these images in the video. The Camp Fire in Paradise, California began on November 8th of last year, destroying over 153,000 acres before finally being put out over a month later on December 14th. Over 13,000 homes and hundreds of businesses were destroyed, with more than half of this damage described as occurring within the first four hours. 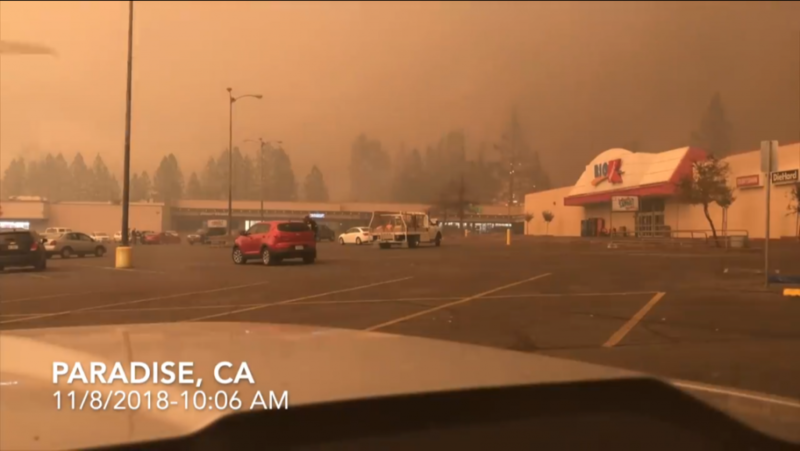 The anomalies of the Camp Fire were ignored by the mainstream media and were only reported on a handful of independent websites, including ForbiddenKnowledgeTV.net. Fires were observed burning at temperatures at least three times hotter than an average house fire; hot enough to melt aluminum and glass, reducing homes to pure ash yet leaving plastic trash cans beside them untouched. The BURN’em UP – FIRE LIST – by Fire Prevention SQUAD . . . ALERT! Note: The recommendations are not the same as actual zones. Such zoning designations do not go into effect unless, and until, they are adopted by ordinance by local agencies. 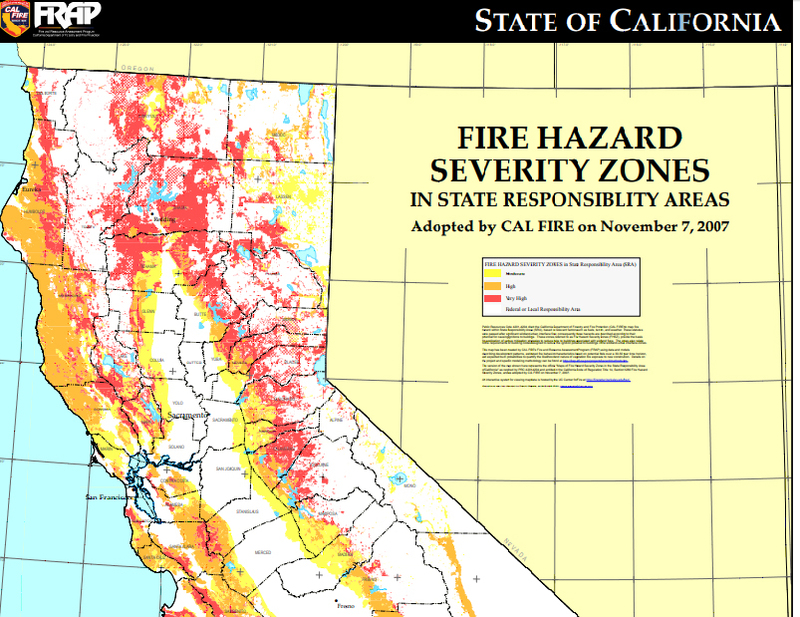 Local agencies are not required to report such zoning actions and CAL FIRE does not have a current list of local agencies that have adopted ordinances establishing Very High Fire Hazard Severity zones within their boundaries.